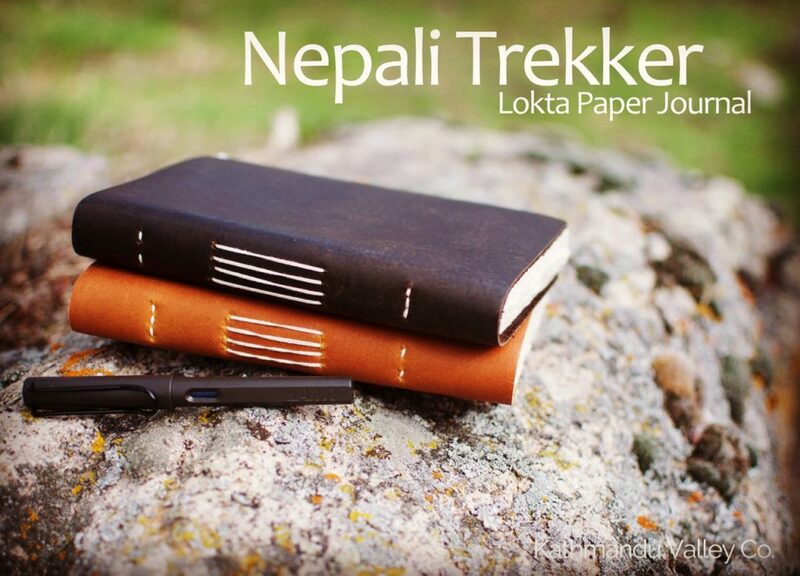 Nepali Trekker Leather Journals, handmade in Nepal with non-tree Lokta paper by Kathmandu Valley Co. The paper is Handcrafted on the slopes of the Himalayan Mountains. The pulp from the lokta bush strips is spread by hand over boxed screens and set to dry on the mountainside, creating a paper whose tradition spans more than 1,000 years in Nepal. Where will your Trek Take You? Whether it be in the high Himalayas or an adventure right in your own backyard, track your adventure with our Nepali Trekker Rustic Leather Journal.